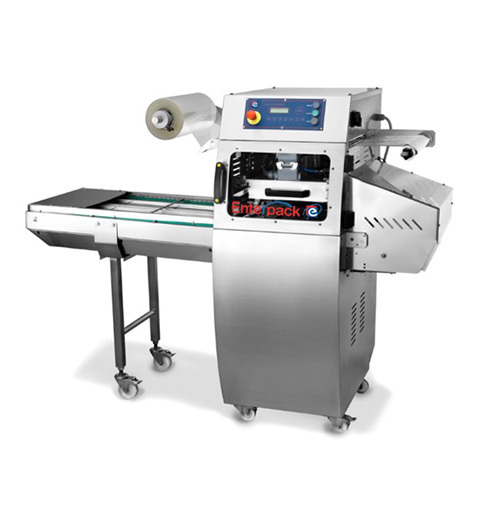 The manual heat sealing machine requires continuous operator input for the machine to operate efficiently. Once the machine is up to temperature the operator places the filled tray into the base plate opening, the open drawer is closed by the operator. The operator lowers the press handle which in turn seals the film to the top of the tray and then the excess film is trimmed. There is a visible and audible signal that the tray sealing cycle is complete. The operator now raises the handle, opens the drawer and lifts the sealed tray off the base plate, the whole process takes 8-10 seconds. When we say automatic, we mean automatic. 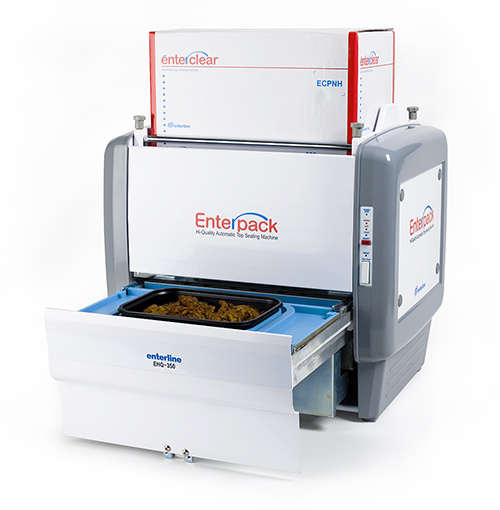 Once the machine has been turned on the operator does not have to touch the machine again eliminating possible cross contamination risk. 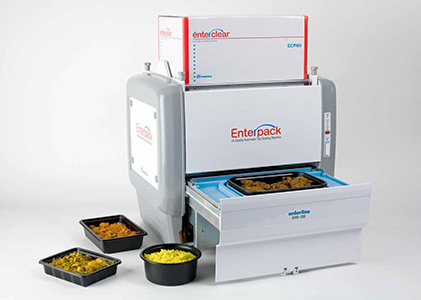 The sealing cycle is activated by simply placing the filled tray on the machine. The tray is taken inside the machine where a film is sealed to the top of the tray and then the excess film is trimmed. 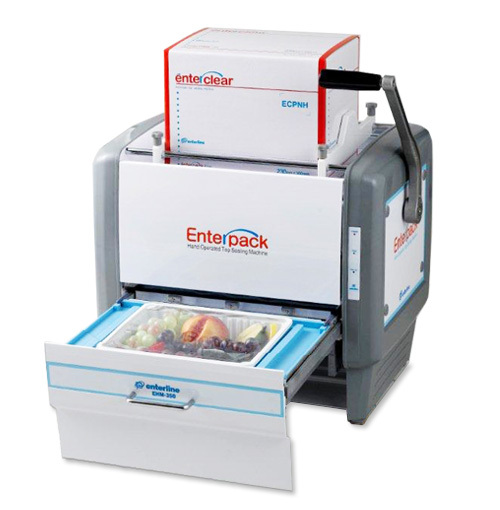 The drawer automatically opens and the machines lifts and presents the sealed tray ready for removal, this whole process take only a few seconds. The inline sealing machine has a fully automatic sealing process. After the initial heat up time of 20 minutes the machine is ready for use. After the operator chooses the preferred program from the control panel and presses the "Start" button, the machine starts. The operator now places filled trays on the inlet conveyor, as the conveyor advances further filled tray can be added to the now vacant positions. The trays enter a secure sealing area inside the machine where the trays are either sealed with or without gas and the excess film is trimmed from around the tray. The sealed trays are gently ejected from the machine. Once the desired number of trays have been sealed the operator presses the "Stop" button, placing the machine into standby.